After winning several industry awards, Peugeot is highly commended for advanced vehicles, like the powerful 5008 SUV or even the 308 SW estate option; both make ideal family cars but can be counted on to provide a journey like no other. Few other brands can match Peugeot’s current reputation as a leader in the family market, while the company still offers examples for sporty petrol heads and casual drivers. With a range of pre-owned cars at Motor Connect Ltd (Northwich), now is the best time to search Northwich for great deals on used Peugeot cars for sale! 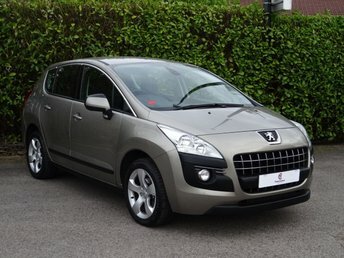 Whatever your budget or situation, you can be sure of finding quality used Peugeot cars in Northwich with us. If you’re wanting to save on a pre-owned 108 compact or want to experience the thrill of directing the RCZ coupé, call Motor Connect Ltd (Northwich) and speak with our friendly team today! Our vehicle specialists are always on hand to help make sure our customers get the best value for their money, whatever their demands.